It’s a milestone season of NBA basketball as the Milwaukee Bucks move into their new home at the Fiserv Forum to make their mark on the Eastern Conference! You can catch a complimentary shuttle from Saz’s State House to every Bucks home game at their incredible new stomping ground all season long! There’s no better way to kick off the Bucks season than by grabbing a drink at the Round Bar or New Bar and a bite from our signature Saz’s State House menu, before heading off to catch the game! After the Bucks crush their opponent, hop a ride back and celebrate over drinks and a post-game feast! While transportation to all Bucks home games is complimentary, guests are strongly encouraged to make a reservation on game day to secure their seat, as spots to and from the Fiserv Forum are limited. Shuttles depart approximately one hour and a half hour before game time.  For more info about our shuttles, email events@sazs.com or call 414.453.2410.